Here’s 10 sweet tips to help you out with your Halo: Combat Evolved Anniversary run through – people who haven’t played the original campaign will be well advised to take heed of the tips – if I was to say which two tips were the best – use the plasma pistol to drop shields and then use the pistol to bring down your Covenant foe. Reissued from 2001's Halo: Combat Evolved, the M6D Pistol is still one of the strongest weapons in the series' history. Effective from close to long range, this weapon marries lethal force and superior accuracy. Like in the original Halo campaign, you can't board vehicles. So keep your distance and rely on mid- and long-range weapons to take out enemies from behind the controls. Throughout Anniversary's campaign look for hidden terminals that reveal key insights into the last 100,000 years of this Halo ring's history. Even the enormous Hunters have an Achilles' heel: standard-issue human ballistics. When a bullet penetrates their armor, it ricochets violently within the creature causing severe trauma, resulting in its death. 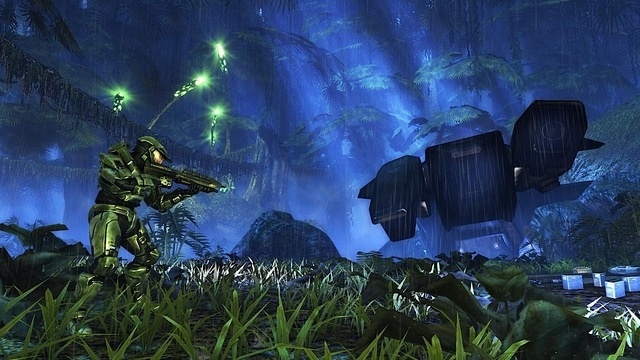 As in Halo 2 and subsequent Halo installments, gameplay-modifying Skulls are hidden throughout Anniversary's campaign. Collect them as you play each mission and discover new ways to experience the game's campaign. Donning reinforced armor and brandishing Energy Swords, the Zealot-class of Covenant Elites are formidable combatants. Keep your distance when engaging them, as one swift cut of their blade will end your "great journey." Like the Warthogs in Halo: Combat Evolved, the Warthogs in Anniversary's campaign are indestructible. Use this to your advantage. But remember: fire directed at the Hog is typically absorbed by the player. Touting an impressive rate of fire and the ability to drop an enemy's shields, this is one weapon you shouldn't underestimate. These sweet campaign tips were found on Xbox Waypoint.